It’s been insanely warm around these parts the past few days and when it’s nice out, I make sure my son gets some outside time. It’s a must for BOTH of us actually. The other day we didn’t even need jackets but I made him wear one anyway. He found his shovel in the garage and went to town digging up the random patches of dirt in our backyard. And when I asked him to show me his dirt, he flung it up in the air instead on top of both of us! Thanks buddy. To say that I’ve neglected my blog the past few months is a HUGE HUGE understatement. But there are several VALID reasons why! First, I moved!!!! Yes, yes, I’m still coming to terms with it myself. Vermont and the 802 is no longer my area code. Picture a giant sad face here. My husband, Matt, and I packed up after 7 years together in the Green Mountain State and moved to Yorktown, Virginia. Let me tell you, it was no small feat. In 7 years you can accumulate A LOT of stuff. And like most people, we had. After some major de-cluttering, we packed it all up while making sure our 2 year -old son wasn’t accidentally stuffed in a box or swept up into the moving truck by the movers! The whole process was so emotional and extremely bittersweet. You never realize how attached you’ve become to certain things, people or a lifestyle until you have to say goodbye to them. I LOVED our quaint little country home, generous neighbors and sweet friends in VT and I miss all three dearly. At the same time, it’s been exciting exploring a new place and meeting new people. We moved because Matt accepted a job at Langley Air Force Base and it took a few months for all 3 of us to adjust. In the beginning, we were homesick but now I can happily say we are embracing our new “southern” lifestyle (I had no idea how GOOD real BBQ can be!). Two weeks before the move, I shot my very first wedding of the super adorable + hilariously in love couple Marissa + Phil. It was a gorgeous day and I truly felt fortunate that they picked me to be their photographer! Thankfully, I had the wonderful Jamie of Team J and letter10creative by my side. I couldn’t have asked for a better sidekick. Thank you Marissa + Phil and thank you Jamie! On top of all that, after a mere month in Virginia, my grandmother passed away. My incredibly kind + sweet + understanding Nannie. I could write pages and pages about the kind of woman she was. But all that really needs to be said is this: she was a BEAUTIFUL person inside and out. TRULY. A woman of conviction who put God and her family above EVERYTHING else. She was and *IS* an inspiration. I miss her very much and I’m glad my son got to meet her. I don’t want to end this post on a sad note. Instead, here’s a brief snapshot of my life these past few months. Giving me their best “serious” face…I’d say they got this one down!! Marissa was smiling the whole day long. It was so sweet + touching to watch! The whole gang, ready to PARTY!!!! This is the first picture I took of our new home in Virginia the day we pulled into the driveway. And my son, Walker, enjoying his first Virginia snowman! My Nannie. My shining light. And now MY guardian angel. Photo taken at my wedding in 2008 by my good friend Cindy Cieluch. Man, oh MAN have I been excited to show you these images!!!! I’ve known “Team J” for a LONG time…7 years to be exact. I like to call them “Team J” for many reasons. First, they’re both named Jamie. How cool is that?!?! Second, they’re a husband + wife wedding photography team. Third, they ROCK! Side note: guy Jaime spells his name: J-A-I-M-E. This summer I’m going to be out and about with Team J crashing a few weddings ..I mean SHOOTING a few weddings (hee hee!). Girl Jamie blogged all about it on her website here. 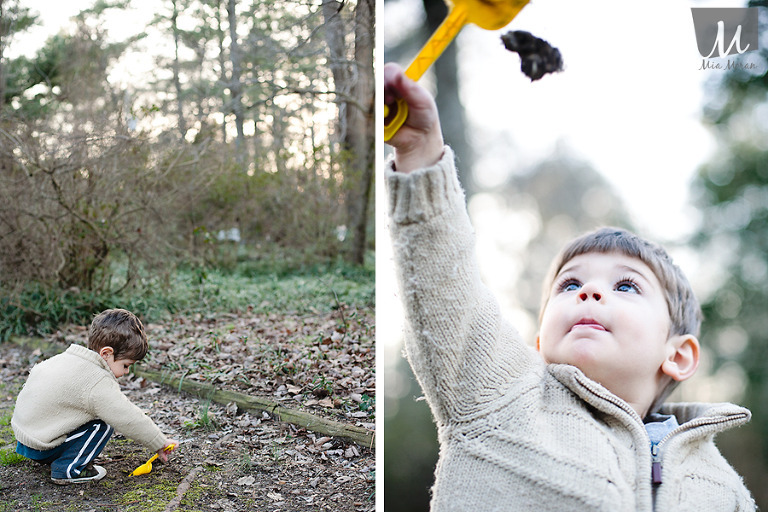 We recently got together for a fun session to show off them + their awesome vintage cameras! The light was PERFECT when Jamie pulled out one of her cameras! It’s so cute to watch these two together. They’re still very much in love after 4 years of marriage. I wish I had enough patience to get my nails done like this!!!! I’m going to make hanging with cute babies my new favorite hobby…especially after a wonderful morning with Baby Sloan!!! I was in awe of her blue eyes and perfect milky skin. Sloan looks JUST like her big brother Luke. He wanted in on the action! First, he showed me his belly button. Then, he told me all about his new big boy bed. We thought Sloan might like to try out the new big boy bed and hang with super soft but she didn’t seem into it…or she was terrified of me. I’m telling myself it’s not the latter! Tomorrow night is a big night for James. It’s PROM night in Woodstock, where this incredibly sweet young man goes to school. He told me all the details during our shoot and it made me miss my high school days! A reason I love hangin’ with my senior clients: they make me feel young! Thanks James for crawling around some funky spaces and have fun dancin’ the night away!! My name is Mia and I'm so happy you're here! I'm a lifestyle photographer for the modern mom. As a mom myself to two little boys, I understand the importance of capturing this fleeting time with them. Thanks for stopping by. I hope you'll stay awhile!